In their announcement about the pending launch of NBC Sports Gold’s Premier League Pass, the paid digital subscription service that will offer 130 games per season to soccer fans in the US, NBC Sports have made a giant miscalculation. On paper, Premier League Pass seems like a harmless attempt to monetize the games that were shown previously on the Premier League Extra Time overflow TV channels. However, on closer inspection, the changes will have big ramifications for all fans of Premier League clubs in the United States. One of the most important reasons for the success of the Premier League on this side of the Atlantic has been the accessibility of the league. Want to watch every MLS game? No chance, unless you’re willing to subscribe to the MLS Live streaming platform as well as TV providers that carry a host of channels from FOX Sports, ESPN, Univision and regional sports networks. In theory, Premier League Pass makes sense. In what is a very difficult climate for broadcasters, networks are collectively losing millions of subscribers who are cutting the cord to save money and watch what they want, when they want and on whatever device they please. Many soccer fans would be willing to pay for a service such as Premier League Pass if it offered access to all 380 games in a Premier League season. But by only offering 130, it means that watching the Premier League in the United States has now suddenly become even more expensive. With cable or satellite bills ranging from $100 to $250 per month to access all of the NBC channels needed, fans of Premier League clubs are now faced with having to pay $50 extra per season to ensure access to all 380 games. If all 380 games were available via Premier League Pass, I’m certain that a gigantic number of sports fans would pull the plug and sign up for the paid subscription service overnight. And that’s precisely the issue. With the parent company of NBC Sports being Comcast, the last thing that either want right now is for their number of TV subscribers to cut the cord. By launching Premier League Pass, it’s not only a giant step backwards for NBC Sports, but it’s also a big blow to cord cutters who want to be able to watch all of their favorite programming without restrictions. NBC Sports has created a walled garden around the 130 out of 380 games per season, which represents a sizable 34% of matches during a Premier League season that are off limits unless you’re willing to pay $50 to NBC Sports. That means that even if you’re a subscriber to fuboTV, PlayStation Vue, DIRECTV NOW or any other streaming service, you won’t be able to watch every single game anymore. Supporters of clubs such as Chelsea, Manchester United, Liverpool, Arsenal, Manchester City and Spurs may not notice much of a difference next season, but even still, each club will have three or more games available exclusively via Premier League Pass. Neutral soccer fans or supporters of the “other 14” clubs will face the difficult decision of either signing up for Premier League Pass to watch all games, or skipping the match and watching something else altogether. In NBC Sports’ almost flawless run as the custodian of the Premier League to soccer fans in the United States, the peacock has made their first major faux pas in covering the world’s most popular sports league. The 2017/18 Premier League season kicks off Saturday, August 12. Don’t you think NBC may have been spooked by the decline in EPL ratings last season? Ratings seemed to be down a lot across the board. We have debated why they declined, but this seems to be a way for NBC to push more viewers towards the products on cable or broadcast TV or to make them pay for it otherwise. Also, with the Premier League seemingly prioritizing European and Asian viewing windows for the games, there are a lot of 12:30 PM games with teams like Watford, Bournemouth, West Ham, etc. I don’t think this move will limit exposure for those teams on US TV. Overall this seems to be a natural response to declining ratings. Not totally surprised. Ratings are cyclical. It didn’t have the majesty of Leicester’s run that we saw the year before and a lot of top teams didn’t play as well as was to be expected. The middle tier teams saw huge amounts of parity. It wasn’t a very good season, frankly. This decision is definitely not going to help things, that much is certain. Part of what has made NBC so successful was how comprehensive the coverage was.. that will no longer be the case. Losing nearly 4 games from TV per week is a massive, massive blow. There’s really no other way to describe. An interesting riff on ‘ What you get for nothing is worth as much’. Anthony, the reason there are Saturday 12:30 kick-off games is because these games are shown on live on UK TV and 12:30 is one of the package slots sold by the Premier League to UK broadcasters. Last season BT Sport in the UK took over the 1230 Eastern Time slot from Sky Sports. Sky Sports has almost all of the 1st picks in a given season, with BT Sport picking 4th most weeks. That leads to worse matches being in that time slot, especially in the second half of the season when Sky Sports can squeeze BT Sport and the max cap on showing a team. BT Sport prefer to frontload with ManU, Liverpool, etc. to get subscriptions at the beginning of the season. For some reason, people here go crazy when you point out that EPL “lunchtime” kickoffs are really prime time in Asia kickoffs. It’s simple math: they can sell a lot more shirts in Asia than North America. You mentioned in the article that fans of the big 6 premiere league teams won’t notice much of a difference, but the way I see it if you are a Chelsea or Arsenal fan NBC is expecting you to pay $50 to be able to watch 3 matches. Complete and utter rip off! In order to drive demand for this app, it should be expected that some choice matches will be held for streaming only. We could be surprised at some of selections as the season goes on. Nah, all the “choice” matchups you speak about will always been in one of the UK broadcast windows, so they will always be on NBCSN/CNBC/NBC. My assumption is that by “choice”, you mean all the matchups between the Big 6. Well, it would push ME maybe IF I knew how to find ‘illegal streaming devices’! Turner Sports has Univision Deportes to worry about. One would expect Juan Carlos Rodriguez to screw over Turner by putting all matches on Univision Deportes app and UnivisionDeportes.com, with the exception of those matches that air on Univision Deportes Network (UDN) due to contractual terms with cable/satellite TV operators (in exchange for raising subscriber fees.) That means only Real Madrid, Barcelona, and matches involving Mexican stars have to be held back from free streaming. Furthermore, Univision Deportes can give away all UEFA Champions League matches involving English Premier League clubs on UniMas, which is free-to-air. That means the only Turner Sports product which can cross-promote the UEFA Champions League is the video gaming product ELEAGUE on TBS. What does that mean? If you name were Carlos Bocanegra or Dan Gargan (the top 2 Atlanta-based candidates for studio pundit roles), you will need to learn how to operate a video game controller so that you will be ready to appear on the next ELEAGUE Celebrity Challenge on TBS. In the best case scenario, Turner Sports would only be able to recoup at most $5 million/year from over-the-top subscriptions. If Univision Deportes were to put in a full effort to screw Turner Sports, then the over-the-top subscription revenue for Turner Sports will be closer to $0-1 million. That’s hardly anything for a product which Turner Sports has shelled out over $60 milllion/year. I don’t get a sense that Craig Barry and Matthew Hong thought things through when they put in the big bid for the UEFA club soccer products. Otherwise, they would not have left themselves exposed to having to compete against a formidable opponent in Univision Deportes that is run by a total maniac in Juan Carlos Rodriguez who is perfectly capable of destroying Turner Sports. The more you post on this site the more this looks like an amateur operation, this is pretty much the info wars of soccer now with your ridiculous posts and columns. Don’t worry folks, it’s still early! I would have loved to have seen the market research they did on this if any. I can see no one signing up for this and NBC Sports pulling this off the market out of embarrassment. That’s still a good deal. At the end of the day most US fans are bandwagon anyway to Man U Liverpool Chelsea and aresrnal so you’re not going to miss much anyway. Can’t remember the last time I met a palace or west brom fan. Lol sh!t team. CFC OWNES YOU ! This isn’t a charity – NBC is out here to make $. If NBC can make more $ monetizing these matches in this manner than the previous, they are going to do it,. They spent years cultivating a good product and creating demand, now they see the opportunity for a greater return. They are makeing moves to protect and monetize their property. Practically every rights holder in every sport is doing it. The free ride over folks. Adapt or get left behind! Fair point – what I didn’t clearly explain by ‘free ride’ is no additional subscriptions than your cable (and possibly sports tier for some) to have access to the entire slate of matches. That’s kind of the point of sports tiers. You pay more to the cable company for them because the cable company is paying the network for access. You were already paying for it. Now, with services like Vue, we’re losing access to things we were paying for (TVAnywhere access to NBC Sports for the PL Extra matches was the sole reason I chose them over competitors and paid anything at all — something they had to pay for access to). And it’s not like our prices are going down as what we were paying for is being taken away (there losing beINSports access recently too). What’s worse, NBC Sports has lousy streaming. Their site didn’t allow true full-screen last year because of giant ads — that darn well better not be the case if they’re charging extra with the new service. The only way around it was to stream via a mobile device, which wasn’t always ideal. They frequently had streams cut out during matches. Once I even put on a match only to be watching the right one and have them stream the audio from a separate Everton match. It took them half the match to get it sorted out with the right audio stream. The year before they were fine. Last season, they screwed up streaming left and right. They were already being paid by the cable companies for access. Why they think they deserve more without at least fixing their product first is baffling and inexcusable. What riles me up even more is that Vue didn’t bother contacting customers about this or the loss of beIN. You go to watch it, and it’s just suddenly gone. I’ll be canceling my directv $125/mo subscription in about two weeks and citing this change as the reason. The only reason I still pay it is for EPL, as all of the other programming I want is on Netflix, amazon prime, or Hulu plus. Amazon prime I buy for the free shipping, and Netflix and Hulu combined cost me $21/mo. This was a bad move by NBC. I know soccer twitter is in flames over this, but $50/yr isn’t a bad deal. Look at what other sports are paying. Fox Soccer Match Pass – $20/month, MLS Live – $80/yr, NFL Sunday Ticket ~ $300 (I don’t think this even includes Red Zone). It is a bit more inconvenient to use an app. It would be nice if there was a DirecTV option. My wife, who is a Tottenham fan and stays away from soccer twitter (“a normal person”) said “of course we are signing up for it”. Lets wait and see what is in the final package. NBC did themselves no favors by being so unclear in the description. Apples and oranges. Mls live has all the games. This has a third. It’s a crucial third for true fans, but I’d guess man united, arsenal, Chelsea, and city will have the minimum three games on this service. Thinking about it a bit more… NBC over-the-air via antenna, a Sling (or whatever) subscription with NBCSN and CNBC and this product will get you every Premier League game, plus highlights. So really, this is a $5.50 per month add-on for existing cord-cutters to get the full suite of games instead of giving it away via free-with-authentication to those same cord-cutters. It is a negative for cable subscribers as it takes away something we were already getting for free. I bet NBC was being approached by Sling, DirectTV, Fubo, etc customers asking for free access to LiveExtra, and their response was to charge them for it. If NBC had advertised the pass at $5 per month, it would have gone over better. I don’t know why NBC had to take it away from cable subscribers, but it is what it is. They weren’t giving it away for free with authentication. They had licensing agreements with certain cable providers — some gave customers access, some did not. It’s why we left cable for Vue. Had they offered this as an add-on for cable and streaming subscribers whose providers weren’t paying them for it (where customers in turn are paying through their provider, often with higher-tier sports packages), it would have been fine — good even. But forcing everyone onto this model was foolish, especially given the lousy quality of their own streaming service this past season. Still a lot to improve before they’re in a position to make a good case for that. Except the 50 dollars only gets you 130 games. You still need to be able to get NBCsports and other NBC affilates stations to get all 380 games. Tried shady sites to watch PL games, PC infected and was locked out and spent $130 to fix. Then decided to pay $20pm with Fox, in the past when they had the PL. 2 years ago using a friend’s password to see PL on NBC as won’t pay for cable and only have antenna. Lately scrambling around to watch the Toon in the championship via beinsport on directv in the pub. This coming season back with NBC and with the NBC gold for $40 I can at least see the Toon every week. However would like to meet with Toon fans and watch live in the pub but not sure if pubs are allowed to stream here in Florida. This new service is only suppling 130 games a week, so you’ll still need to have access to NBCsports and other NBC sites to see all of the games. I’d support this product if it meant NBC was going to pick up the 24/7 Premier League Network that they offer to all carriers of the Premier League along with the games. I miss the days of having Premier League programming/news everyday like we saw when FOX had the contract. The service isn’t worth it to me for just missing 3 United games a season. Know why ratings dropped last season? Newcastle wasn’t in the league. Simple as that. I wonder why NBC did not allow cable and satellite operators the chance to sell these 130 games for $50. Why force customers to use 2 platforms? I know many people are going OTT, but having had Extra Time as part of my subscription package with DirecTV, I think they’re missing a decent chunk of the market still married to the cord. Arlo white to call all matches just for you CM. OK, Liguy…That was excellent. A thumbs up from me! Yeah, like with many such services, my complaint is not having to pay, but rather the limited options for doing so. I’m a Liverpool fan and I’m willing to pay for my team’s games but why should I have to buy a package that includes Huddersfield-Watford when I have no interest in watching that? Also, Extra Time on NBC’s website frequently ran slow/froze for me last season. If it’s something I’m paying for I hope I don’t have to keep refreshing every 5 minutes. The only people who think that “the only people who refuse to pay are liberals who think everything is free and do not want to work” are ignorant, ill-informed, loud-mouth conservatives who think they know more than they actually do and are incapable of doing simple mathematics. This is really simple: I signed up with Comcast (which owns NBC Sports) on the promise of “every game, every weekend, all season long.” I pay my cable bill every month (and work hard every day so I can do so, just like you). They have now determined that 130 of those games that I have already been paying for are worth $50. Way I see it, they either owe me those games or a $50 rebate. The problem may be that many of us grew up getting our Anglophile-fix (Monty Python, Masterpiece Theater, etc.) on that odd 4th channel (in pre-cable days) the Public Broadcasting Service (PBS). The network once funded primarily by the Federal government and now paid for by small contributions from all of those “viewers like you”. F… OFF idiot!! Don’t bring that dumb a$$ rhetoric into this! Interesting to see so many people freak out. I usually only watch “big 6” clubs play each other in the Premier League. Those Choque de Gigantes Premier League matches will all be available free-to-air on Telemundo. Repeat: Telemundo will have 30 big matches, all free-to-air. Chances are Andres Cantor will call all 30 big matches. If, as a media guru or whatever you claim to be, you only watch “‘big 6’ clubs play each other,” then you don’t really have the right to judge more hard-core fans of the Premier League for “freaking out,” even though that’s a gross overstatement that misrepresents what folks here are saying (not to mention the guy who runs this site and hopefully will no longer be giving you the occasional platform for your thoughts). $50 isn’t bad at all! Welcome to the real world kids where things are not free and you have to work to make money to pay for them. Maybe time some of you get a little business acumen and understand how this all works. NBC pays massive fee to retains rights which all you England fan boys are happy about bc you hate fox. Since they pay more they have to recoup some of the investment since ratings are not even close to what other US sports leagues are that demand those rights fees. Pretty simple…you want “modern football” as you call it with the best players? Where does that money come from? Answer: TV! You think NBC is just going lay around and pay these crazy fees while losing millions to cord cutting? Some of you are deliusional to point that I agree with above poster about liberals and not wanting to pay and wanting hand outs. Can’t have it all! Good lord, I work harder than you do and probably make more than you do. The only people I see looking for a handout are you “conservatives” who don’t want to pay taxes for roads and schools. Grow up, Bunky. Funny–I’d think that somebody with serious business acumen like you, Tim, would realize that those of us paying our cable or satellite bills have not been getting things for free. But I guess it’s hard not to take it personally when so many of us “England fan boys” “wanting hand outs” complain about your beloved Fox because of their politics, right? And not because of their inferior soccer–er, football–coverage? Sorry, don’t want to pull you out of the bliss of your ignorant stereotyping. Really, though, that’s just my “liberal” education at work. Critical thinking skills and all that, which I’m afraid you missed out on. True enough. Not unless you are willing to let them kick you in the nuts and say "please sir, may I have another?" Honestly, I'd rather spend the $50 pitching in for the "Wenger Out" airplane to fly over the Manchester Derby with a sign reading "NBC, Give us our games back" just so I can hear Arlo White try to explain it on live TV. I won’t be pay for it and if the Chelsea games are worth watching I will hit up the pub that I know shows games that are online only legally of course. It will be like the old Setanta days. Football is the main reason I have PS Vue. Now, no, thank you, I’ll chance it on the foreign streams. Enjoy one less subscriber, NBC. For the Gaffer: as a subscriber to DirecTV I’ve become accustomed to receiving ALL the games each week, including channels 481-5. Does this mean that DirecTV will no longer provide these overflow channels, or is the limitation purely regarding DirecTVNow? No more overflow matches on DIRECTV for no extra charge. No more Premier League Goal Rush with John Dykes as host. Each of the 20 Premier League clubs will be placed in the $50 paid subscription streaming service at least 3 times each season. It probably has not dawned on you, so maybe this will help. Do you honestly believe “casual viewers” post on this site? For someone who – at every opportunity – loves to tell us your resume, you really have no clue about the readers and posters here. We are footy fans, not top 6 fan boys. And we’re not happy about NBC’s decision to segment their audience..
Their ham-handed decision is Solomonesque, when other options were more acceptable. Finally, a big Thumbs Up to Nosferatu for his reply to your earlier “casual viewers” post. If you’re going to write – in your case, pontificate – it would help if you actually took the time to understand your audience. The easiest way would be to allow cable and satellite operators to offer Premier League Pass. Most operators already cleared bandwidth for Premier League Extra Time. And those who did not might reconsider if they could get a slice of the annual fee. I’d even pay, say, $75 if I could access Premier League Pass on both TV and online. Cable and satellite operators cannot be happy they are paying NBC the same amount of money for less programming for their subscribers. I love the argument that nothing is free, so get over it…classic…except, as has been stated numerous times, you actually have to pay for nbcsn. As in, Comcast already takes in money from my subscription. I’m not saying $50 is obscene…but from a business standpoint it does seem to be a backwards step when you initially set up your coverage as a huge and comprehensive package that comes with the nbcsn package already. Also, super classy thread of responses here. But, I’m probably just one of those millennial assholes who doesn’t want to pay for anything. As a football / soccer fan growing up in the UK, I supported Southampton which is my home town, and like many people across the uk who support not so fashionable clubs like mine, there’s absolutely nothing we can do about it ! It’s in the blood. We can’t switch! it’s part of a DNA . I really appreciate that NBC had the foresight to pay a huge amount of dough and make premier league soccer available to us all. To be able to watch every game my team played was incredible, (well perhaps not always). My point is I would be willing to pay so much more if I could just have constant uninterrupted soccer! To watch my team yes! but also to see how the competion is doing and not just the top so called fashionable teams. I will pay the fifty bucks for the stream, but I have cut the cord and there’s no way I will go back to it. There’s just too much rubbish TV that comes with it. I am well over that! So it seems the indication here is that there won’t be any more replays of games available online–even those games that were on TV–unless you subscribe to this $50 package? It’s a pretty crappy move, especially for West Coast fans who sometimes have games on as early as 4 a.m.
Sure, you can always set a DVR, but having the ability to watch replays online or on connected devices was a nice tool for fans, and getting rid of this (like every aspect of this deal) seems pretty shortsighted on the part of NBC, a move that will only decrease fan interest in the long run. I don’t think the amount of $50 subscriptions they get is going to make up for that. How did you come to the conclusion that there wouldn’t be any more replays on the NBC Sports App? I haven’t gotten that impression at all. Not a conclusion–just an assumption that this is going to end up as part of the deal. They keep talking about “most replays” being part of the NBC Sports Gold package–which is nice, I guess, for cord-cutters who don’t mind watching on delay, though this seems like a very limited segment of the population–so I’m thinking that having replays only available through this Premier League Pass might be another way of them nickel-and-diming us into getting the $50 package. And I’ve seen no mention of replays still being available to cable/satellite subscribers without the package. Shameful short-term cash grab that hurts the Premier League’s ability to grow its audience in the long term. It’s one thing if networks gouge the audience in a “Big 3” US sport like American football/basketball/baseball, which are already established and mainstream. But for a still-growing sport like soccer, you want to make your product as accessible as possible. The “growth” phase of the Premier League in the U.S. is over for now (double-digit ratings decline in year 4 compared to year 3, and ratings decline in year 4 compared to year 1) No anticipated growth until the next generation of viewers grow up to have children. NBC knows that the “growth” phase is over for now. The next 5 years is all about grabbing as much revenue as possible. nbc sports is the best coverge of soccer and it will continue to show soccer in the future and it will bring more viewers on tv. Yeah, those extra games no one in real numbers knows about really grow an audience. Gaffer–do you happen to know how many matches were broadcast on NBC’s linear channels last year? I’m concerned we’ll see fewer cases of two matches per 3pm GMT window on NBCSN AND CNBC as a way to add more value to this service. 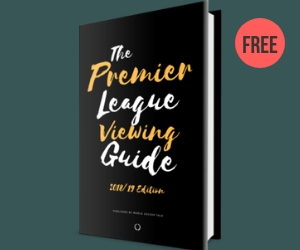 From this, you can get an approximate idea of how many times each club will be available to watch on Premier League Pass this upcoming season. I’m not sure if this is accurate to go off of. I believe that CNBC timeslot at 10est is going to go away. They had a game in Week 1 and now in Four on MSNBC, but why continue much of that when they can get two streams of additional revenue from the paid program length commercials and from Sports Gold. Also, Week Four is the first week that a choice match, Leicester-Chelsea, is not being carried on TV. Be interesting to see if they get additional Sports Gold buys or not. If not, maybe NBC will start to reconsider this whole mess. – To be honest, even though you, me and everyone else unhappy with this announcement might not like it – NBC doing something like ‘PL Pass’ was inevitable. It was inevitable because it makes no financial sense for them to keep essentially ‘giving away’ access to a 1/3 of PL games each season when a) they’re not charging the cable/satellite providers a carriage fee (like they do with NBCSN, CNBC, etc) to carry Extra Time; nor b) requiring the viewer to buy a package (eg; like with NFL Sunday Ticket) in order to view those ET games. Considering that the amount NBC are paying for the PL rights each season has doubled under the new rights agreement, they need to recoup the extra amount somehow and putting the ET games behind a paywall is an obvious way to help achieve that. To be fair, we were probably fortunate that NBC didn’t do this earlier (say at the beginning of last season) because the ‘financial sense’ argument also applied to them doing what they did with Extra Time since they got the rights. – What NBC are doing with PL Pass is no different to what Fox has done for many years with Fox Soccer 2Go/Match Pass. If I want to watch every game of the Champions League, Europa League or Bundesliga (to list a few leagues), not only would I need to have some type of subscription that allows me to access FS1 and FS2 but I would also have to subscribe to another service on top of said subscription to do that. Putting aside the natural and understandable disappointment/anger there is about having to now pay for a service that for several seasons was ‘free’, NBC is rightly or wrongly following the precedent established by Fox. – Having said the above two things, there should really be say a $30 – $40 package available to cable and satellite customers which would allow them to watch the games being set aside for PL Pass through the channels that they been reserved for Extra Time instead of having to say AirPlay/Chromecast from the NBC Sports Gold app to their TV. Seems like NBC could have avoided a lot of backlash if they offered a “true” Premier League package that included ALL 380 matches in a streaming package. So all the matches shown on NBC, NBCSN, CNBC as well as the “overflow” matches available in a single package which they could even justify a higher price of say, $99/season. Add special programming and On-Demand for all matches and you have a grand service that would make even MLB, NFL, NBA & NHL look like small leagues. It would appease .the cord-cutters and still give cable/satellite viewers options of viewing big matches the “old-fashioned way”. But NBC being owned by Comcast pretty much explains their approach. 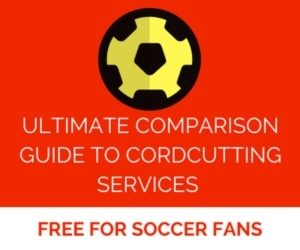 I think they missed an opportunity here to not only service the dedicated soccer community but to also advance the sport in the US from a TV viewing perspective. Agreed! I would have paid for an NFL Ticket style package with all matches regardless of time or placement on channel. Missed opportunity for sure by NBC. NFL Sunday Ticket does NOT include all NFL games. The package only includes OUT-OF-MARKET NFL games in two Sunday time slots (1pm Eastern and 4pm/4:25pm Eastern) that are NOT shown by any local broadcast affiliate in your area. NBC cannot offer a true 380-match PL over-the-top package because NBC’s contracts with the pay cable/satellite TV operators PROHIBIT matches that are shown on NBCSN to be offered in an over-the-top package in exchange for the pay cable/satellite TV operator agreeing to jack up the monthly subscriber fee. The over-the-top vendors have to offer NBCSN 24/7, not just the PL matches, in order to offer those matches shown on NBCSN to subscribers. can they fix it on turner sports to get more viewers on tv and stream soccer during the game ? Do we know that DirecTV are taking away the overflow channels 481-5 and not replacing them with an additional add-on $50 Premier League Pass? It makes no commercial sense for either NBC or DT not to do this! That’s correct, David. All of the Premier League Extra Time channels will be removed from DIRECTV and other TV providers, and TV subscribers will no longer be able to access those overflow channels unless they sign up for Premier League Pass, which will provide those games online via the paid service. I’d gladly pay to keep them on my TV, where I can use my DVR and go out and enjoy my Saturday. But to have to watch them via streaming without on demand access? Terrible. Why do you say without ondemand access? Has it been confirmed they will only air live? That’d make no sense on a streaming platform. 1st weekend I watched 4 games live & 6 games on demand. Seems like an old James Bond movie where Mr Big was going to flood the market with free drugs then charge the addicts double. Same scenario basically! And please you guys, this is not a political site. Ok serious question….I’m not hipster cord cutting enough to want to watch this though smart tv or chromcast. With that said I’ll definitely buy it but is there going to be an option where I can buy it through my package on DIRECTV like MLS direct kick or NFL Sunday ticket or is it stream only? Having made full use of the Extra Time channels, there are two problems I have with this new approach. Firstly, it’s an inconvenience to have to now use two platforms to get all 380 matches. That’s not a huge deal though, I can get the NBC Sports Gold app on Apple TV, so I can still watch on TV. Not ideal, but not a dealbreaker. The cost is not a deal-breaker either, I can understand NBC have paid a lot of money for the rights and need to recoup. Maybe we had a good deal before. My second and bigger concern however is what will be the quality of the live streams of the 130 matches? I expect them to be HD, but what about the framerate? For live sports, the difference between 30fps and 60fps is like night and day. I have contacted NBC Sports Gold support to clarify this. If they could at least provide a 60fps option for the live streams then I can live with split-platform arrangement. I can’t begin to understand why NBC/Concast haven’t done a deal with DirecTV/Dish to offer the old Extra Time channels as an add-on package. Gaffer, can you shed any light on this other than simply stating it won’t happen. Why is it not possible? It would appear they’re possibly throwing away a very desirable income stream. If enough people contact them to express their opinions against Premier League Pass and their decision to get rid of Premier League Extra Time, then it’s possible that NBC Sports may reconsider their decision. But at this late stage, I don’t see NBC Sports changing unless they were met with an avalanche of concerns from viewers. The reason why I don’t think it’s possible is that NBC Sports is married to the Premier League Pass concept and see that as a way to generate a new revenue stream, as well as a way to have a product that they can sell even if viewers cut the cord and move away from cable/satellite. Gaffer: your third para may well be true, but I still fail to see why they wouldn’t consider an add-on, PAID subscription via DirecTV/Dish as an additional source of income. Yeah I can’t see how they would lose out of that either. The only way I’d see logic in them not providing an add-on package was if all 380 games were on PLP, and they wanted to encourage people to use that instead. But they haven’t done that, so you still need Cable or Satellite anyway, so why make it so inconvenient. Any idea how they’ll handle the last day of the season when all matches are at the same time? What’s the betting they’ll put key Top 4 and relegation games on the $50 menu? Great question. My guess is that they’ll put the biggest clubs on TV and three of the matches featuring smaller clubs on Premier League Pass. But we’ll have to wait until the end of the season to find out to see what happens. I pay $130 a month just to have access to NBCSN on satellite. Now they want another $50? Sorry but that’s the line in the sand. I’m going to cancel it all and go to strictly streaming matches illegaly. This is nothing but a cash grab and it’s going to backfire tremendously. What happens if there is another liescter city scenario where a bottom club makes a genuine run for the title? Will they switch that club’s matches off the gold pass to the nbcsn? Does anyone know is there is a limit on the number of devices I would use the PL Pass on? For example, I want to use AppleTV, my laptop, and possibly my phone in a pinch. Before I buy (because apparently Tottenham is still not a big club and I can’t see them this week unless I buy it), I want to know the number of devices. I can’t find it anywhere, not even their FAQs. Hi Natalie, according to NBC Sports, it’s a single-stream per user, but they’ve modified that policy when there are multiple games simultaneously, so a subscriber can watch all games happening within a window (for example, Saturday at 10am ET). The NBCSports GOLD is bullsh*t. Now we can’t see games that were shown last year that were not being shown on the other NBC channels. I pay Dish sat. service for my sports channels and that is ENOUGH damn money. This is really bullsh*t. Bring back Setanta. They showed them all for one price. This is NBC trying to fleece fans to make up for the massive rights fees. These games were available on the app for free last year with a cable/streaming subscription login. I refuse to pay now for what was free last year just because they can’t stop the largess of rights fees. Soon the pay tv/streaming and massive rights fees bubbles will burst and we’ll be paying the club directly for streaming matches. Looking back, was this a big deal? My experience watching Premier League was little changed this season.